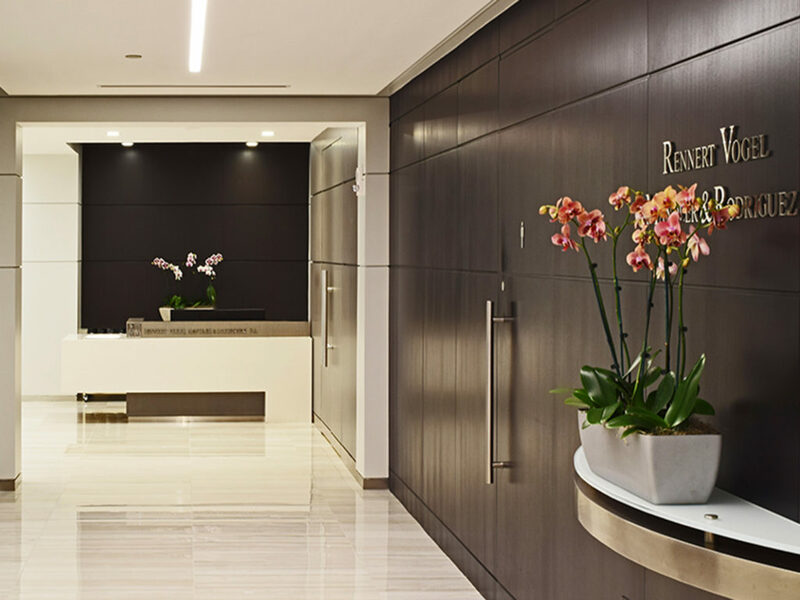 Home → Portfolio → Rennert Vogel Mandler & Rodriguez, P. A.
Rennert Vogel Mandler & Rodriguez, a repeat client of PN+L’s from their initial office build-out in 1998, is another dedicated client. Located on the 29th floor of the Miami Town office building in downtown Miami, PN+L set to create an addition for their expanding office as well as a renovation. 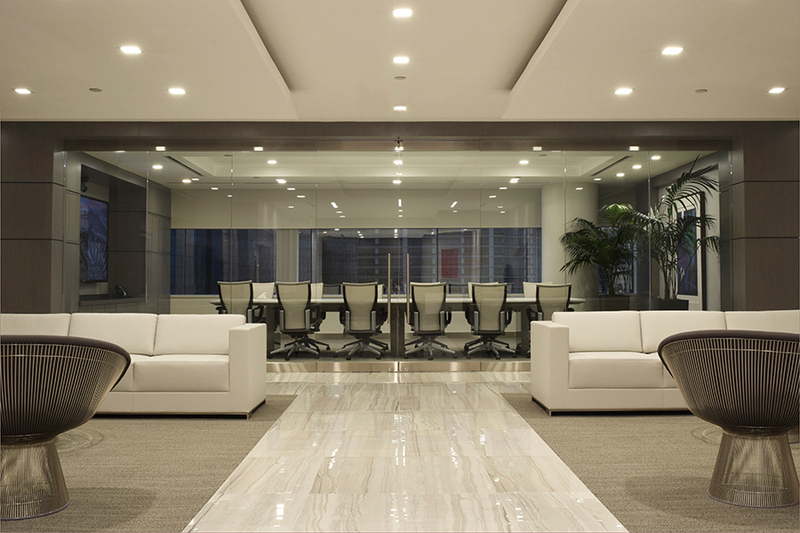 The law firm expanded to occupy the entire floor which comprises 18,000 square feet. The main elevator lobby wall was a prominent wood feature of the space that the client kept, leading you into the reception space. 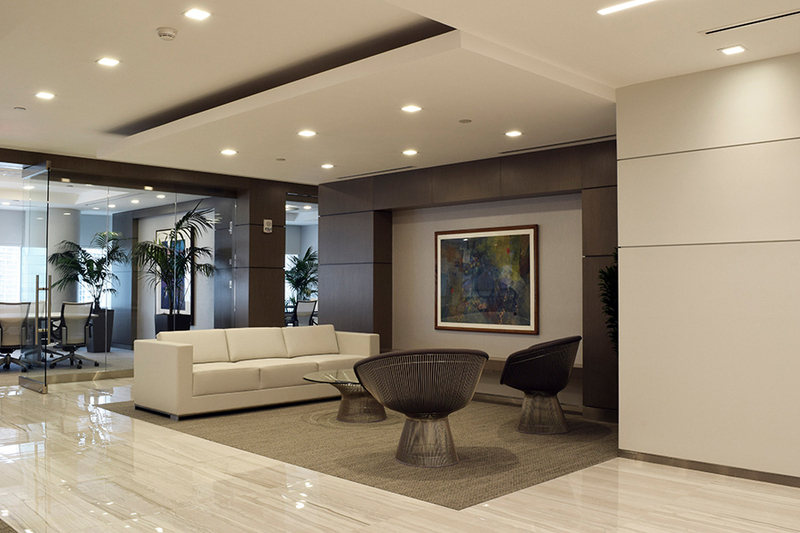 The open concept of the reception and lobby reflects a new direction the law firm took, adding a light and airy feel to the space. 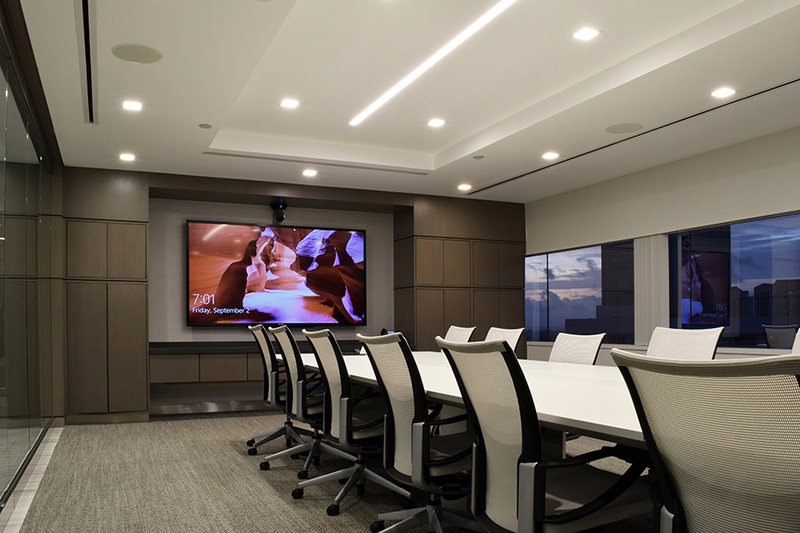 The gray tones of the woods used in the waiting area are soothing and reflect a sophisticated subtle look with the main conference room as a backdrop with views of the Miami skyline. The flooring is new and glossy in contrast to the waxy wood finishes of the paneling and muted, matted paint colors. 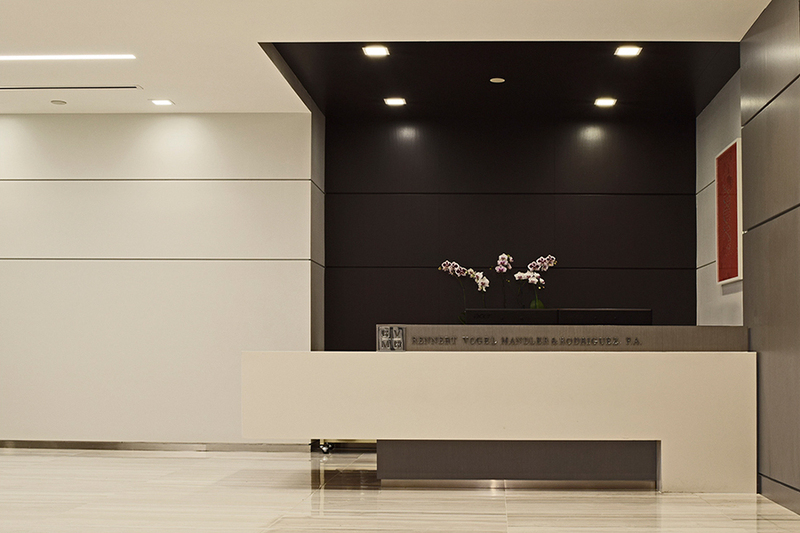 This allowed the client to express themselves, in that the office became a backdrop to their extensive art collection.